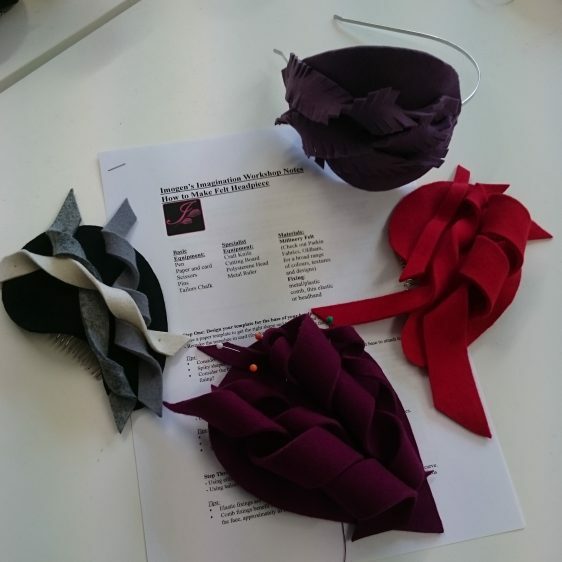 Workshops are a great way to learn new creative skills, as well as practising those you already have. For me, it’s great to be able to share my knowledge with people who have a passion for making and learning new skills. I thoroughly enjoy seeing their designs develop and how the confidence of the participants has grown throughout each of the sessions. 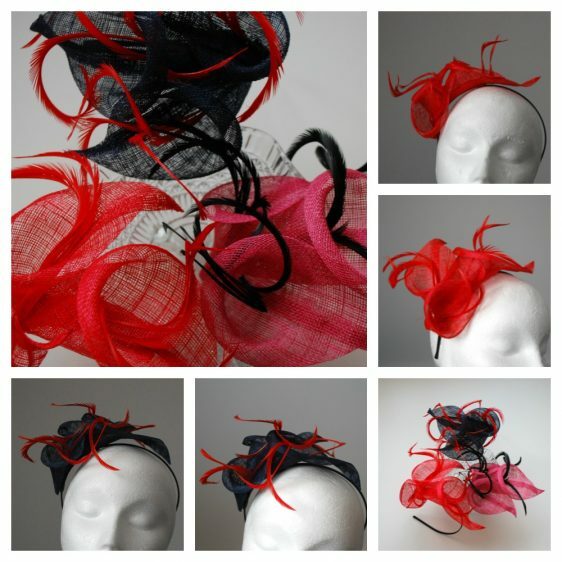 The workshops that I offer are aimed at those with no existing millinery experience and minimal sewing skills, making them accessible to anyone who wishes to take part. 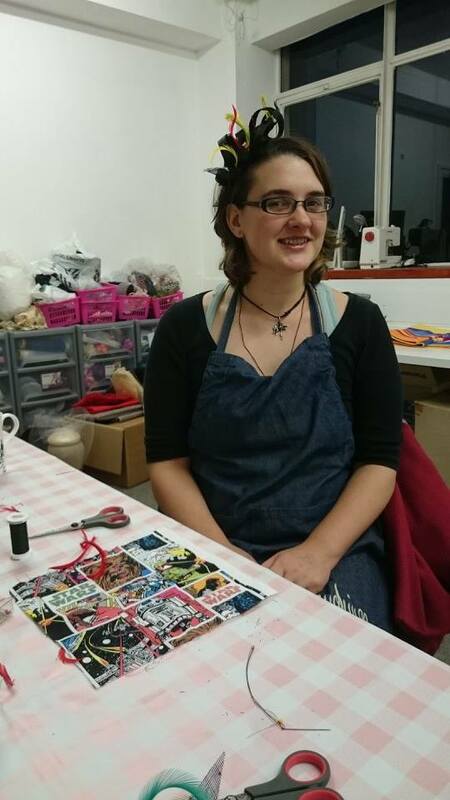 I run the workshops from my studio where I have space for up to 6 participants for each class. This small number allows you plenty of space to work, as well as allowing me to provide you with maximum attention during the session. 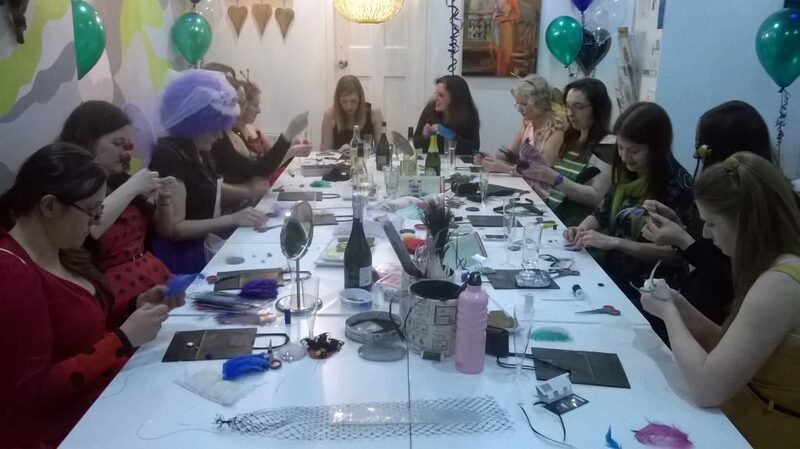 I can also deliver workshops to larger groups so if you are planning a hen party, or simply want a crafty afternoon with friends, please do get in touch to chat about your requirements. 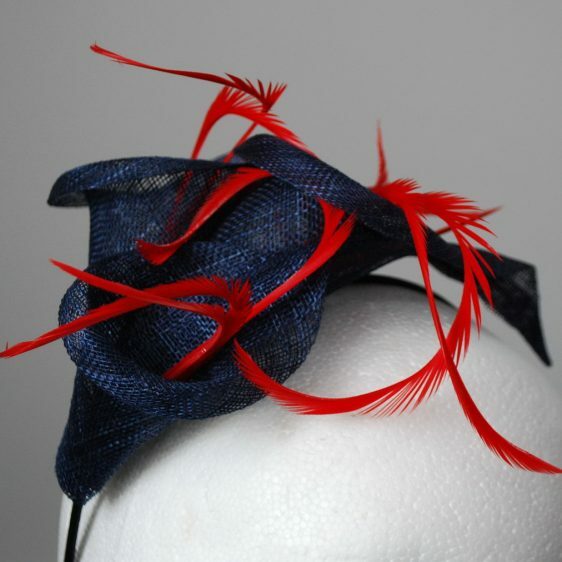 Currently, I don’t offer private millinery tuition as a standard session. However, if this is something that you would be interested in, please do get in touch. 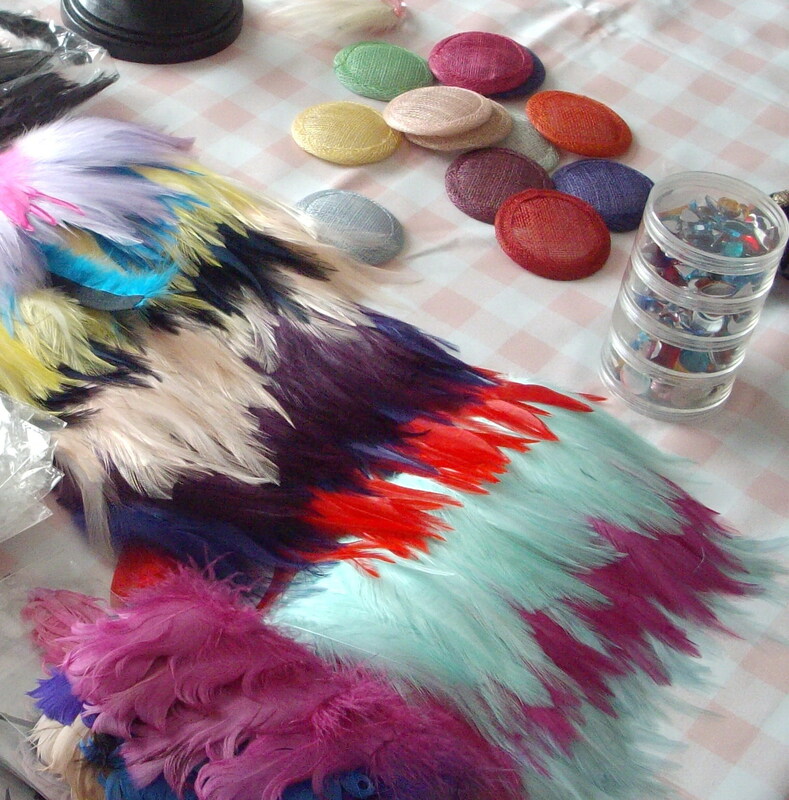 At the workshops, I will make sure you have all the equipment and materials you need to release your creativity. I’ll even make sure there are refreshments to keep those energy levels up whilst you are busy being creative. All the sessions are suitable for adults, and most are suitable for children aged 12 upwards. However, all under 18s must be accompanied by an adult. 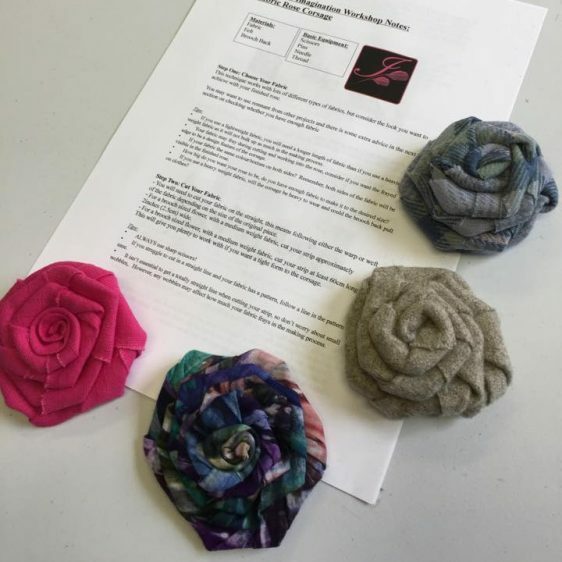 This workshop teaches you how to make your own unique hand sewn fabric rose flower corsage. 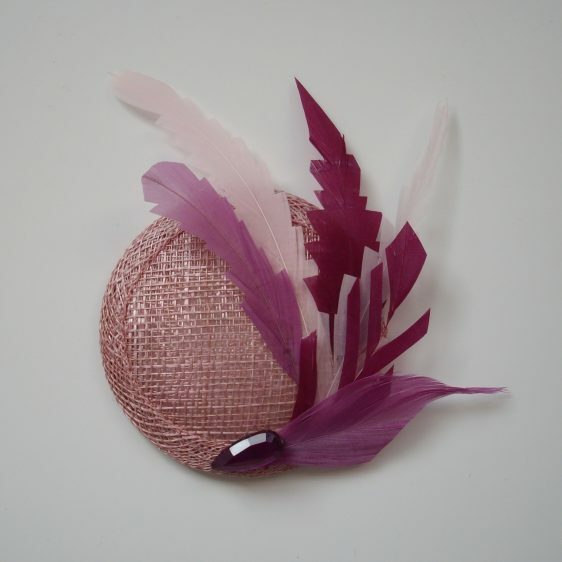 Whilst this may not immediately seem related to millinery, I have used this technique extensively in my own designs. 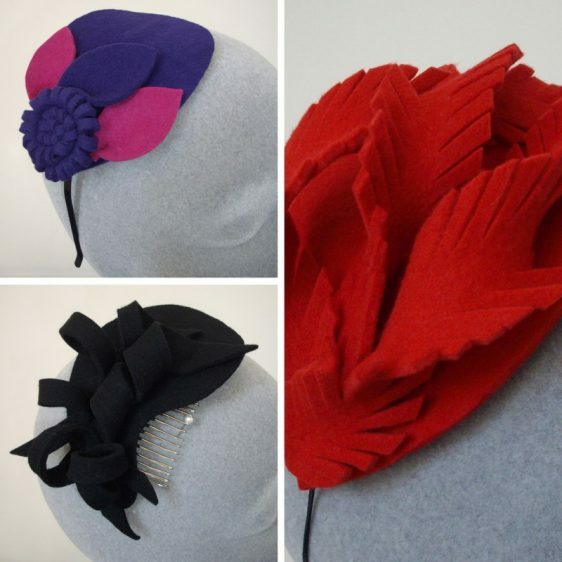 The technique can be used with a broad range of fabrics and ribbons to create versatile embellishments. 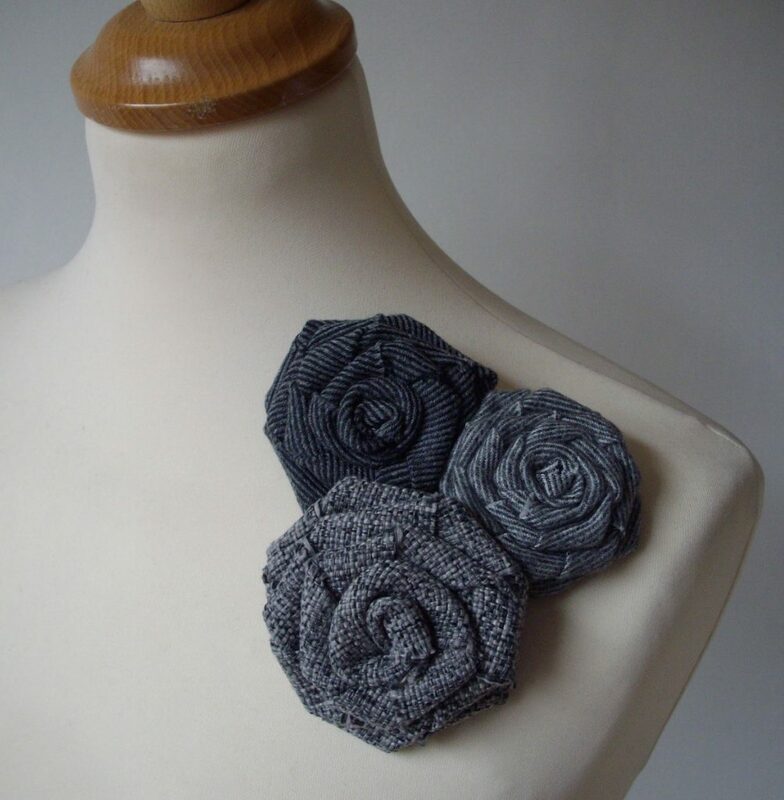 You could use these for your own crafty projects and the corsages make lovely, and personal, hand-crafted gifts. 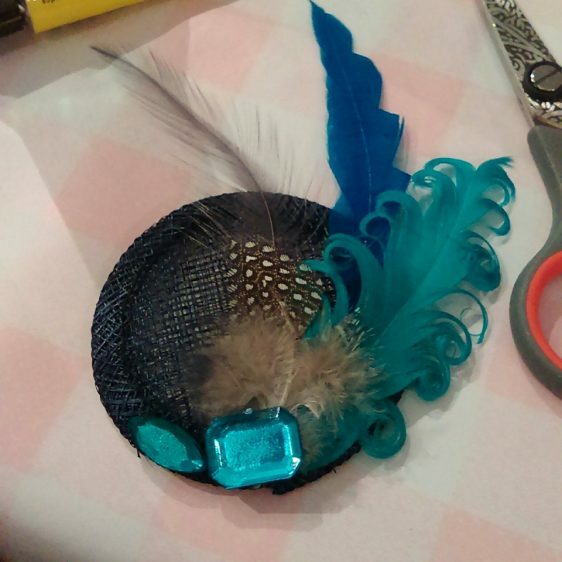 This workshop explores some simple techniques that attendees may already be familiar with, but introduces the use of millinery grade felt. 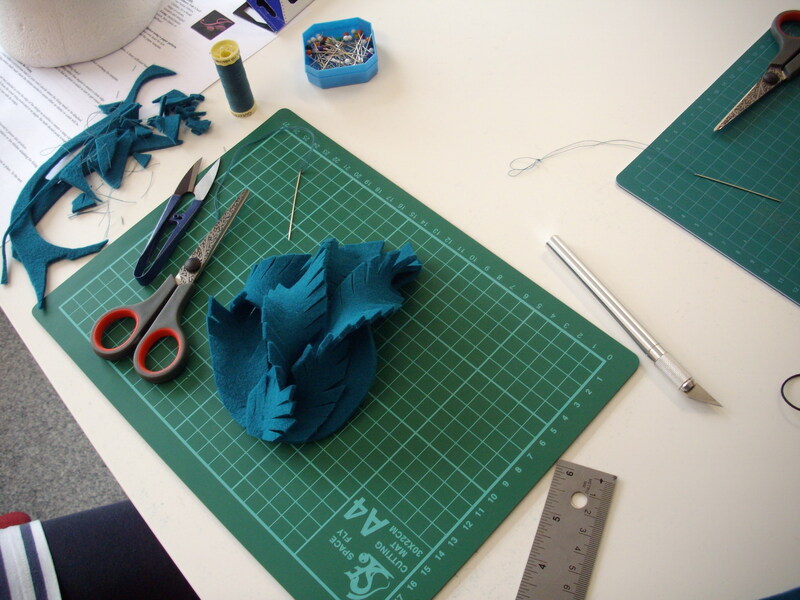 The techniques used include; creating a template, a variety of cutting methods and hand sewing. 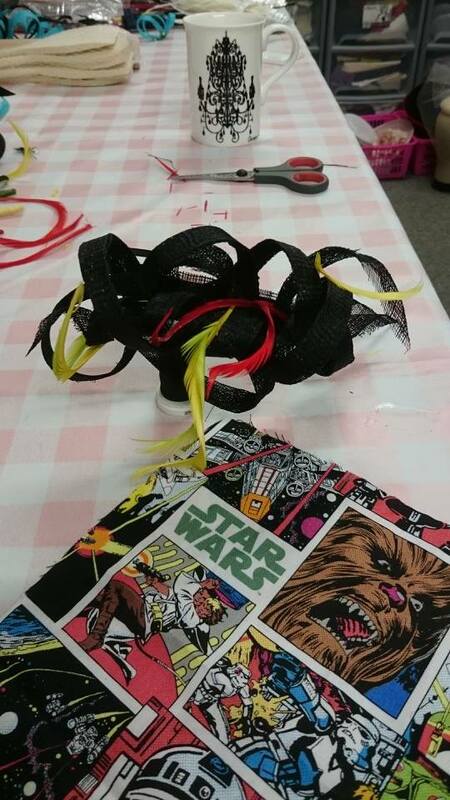 It may also include using a glue gun, depending on your choice of design. 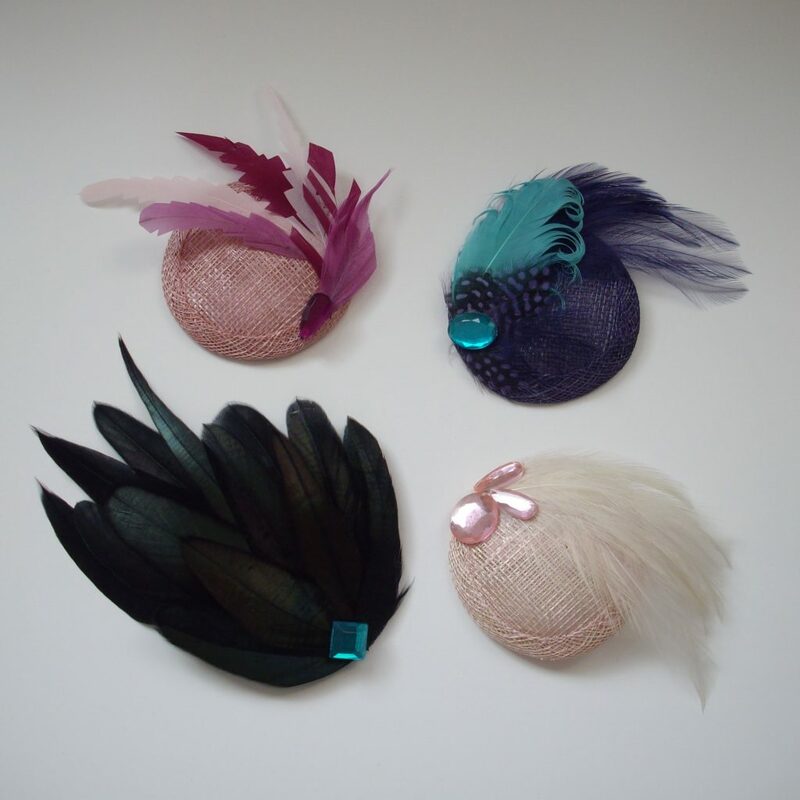 I offer three workshops in which these common millinery materials are used to create different styles of fascinators. 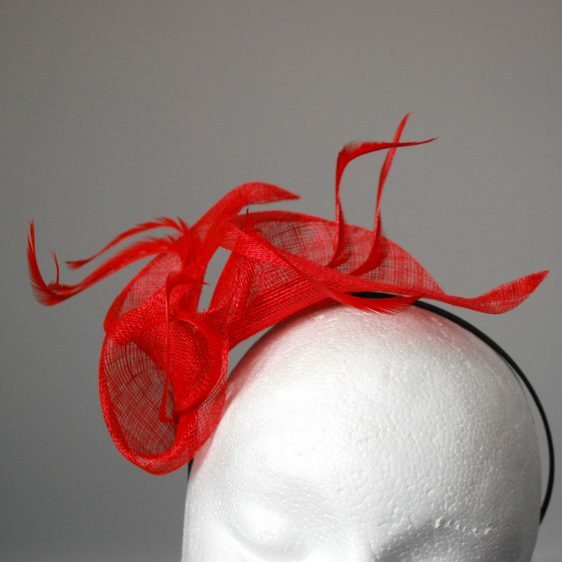 Each uses different techniques in relation to the shaping of the sinamay, but none require a high level of hand sewing skill. 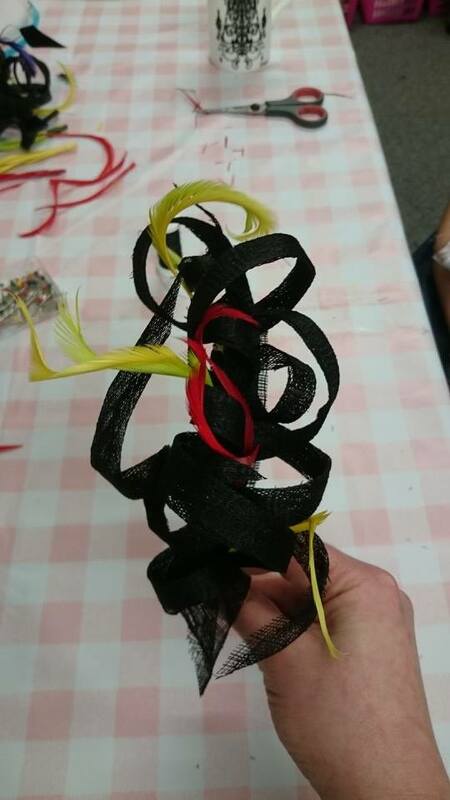 All the workshops require minimal equipment so you can develop and recreate these at home as no specialist equipment is required. 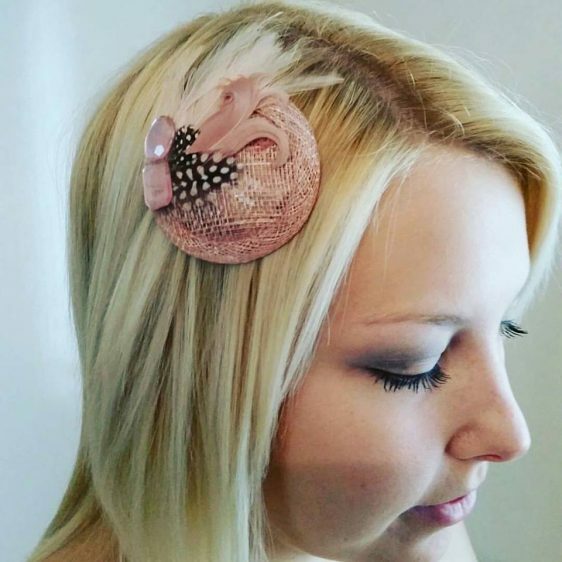 This is a sculptural headpiece using sinamay to create a cluster of lily flower, complete with feather detailing, on either a headband or comb fixing. 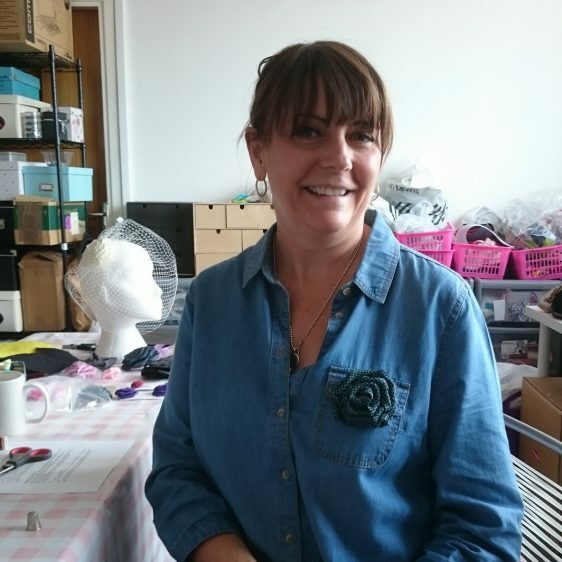 This workshop is the most reliant on sewing to complete your design, however, you do not need to have a high skill level to achieve fabulous results. 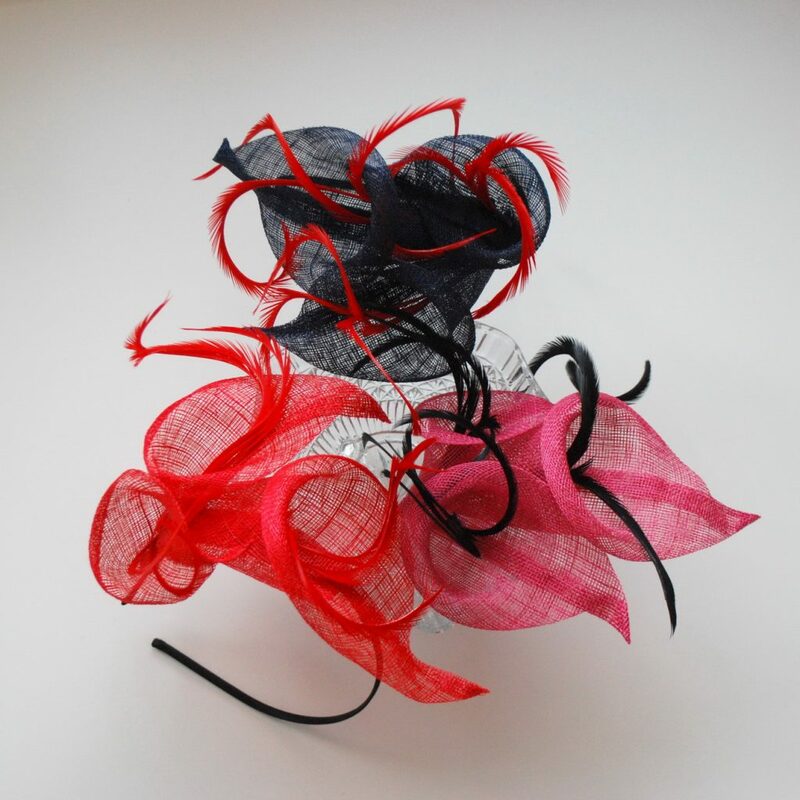 This fascinator is created using a free form collection of curled strips of sinamay and feathers. 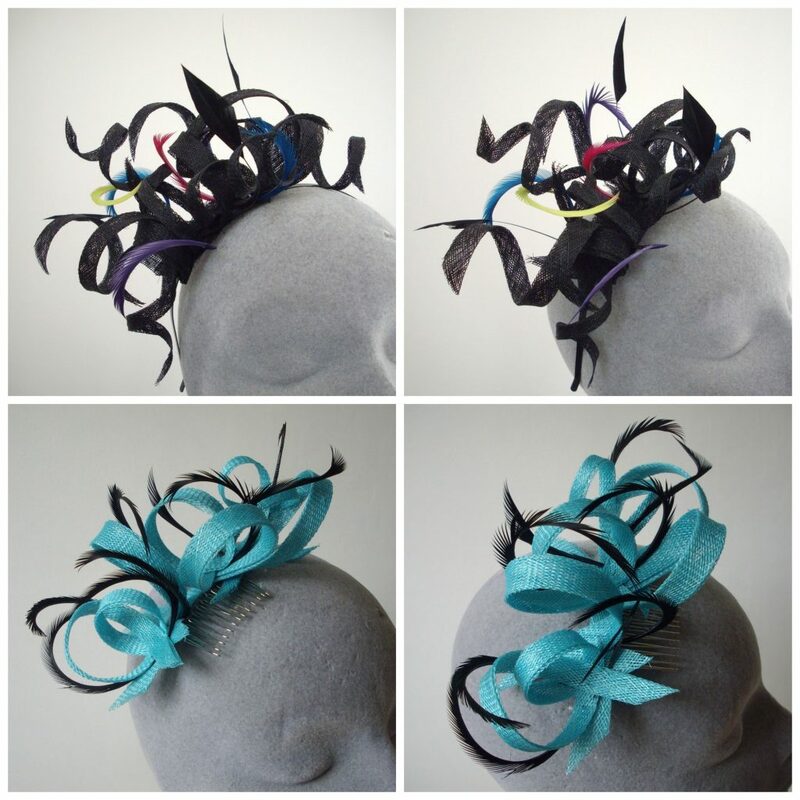 The design can then be mounted onto either a headband or comb fixing. 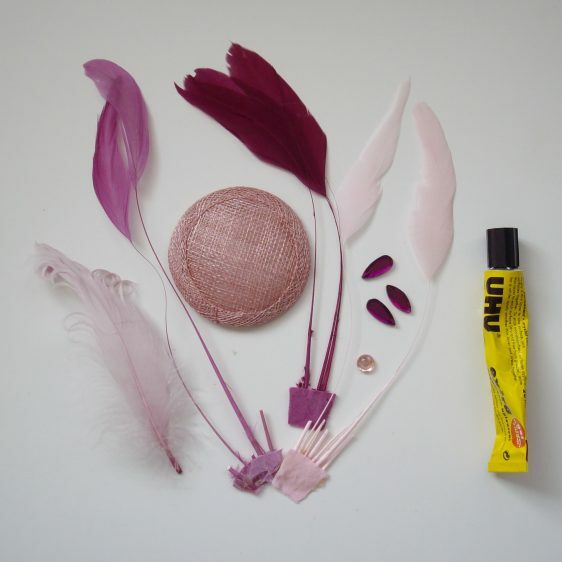 This workshop focuses on the use of heat and steam to manipulate materials. 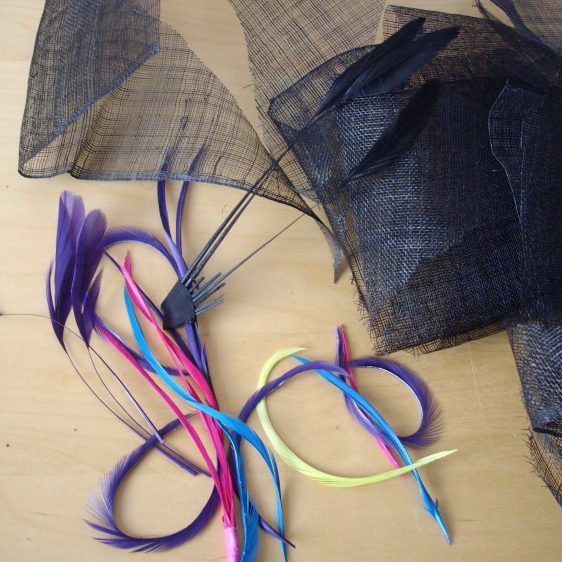 Your will also learn a variety of feather manulpation techniques to help you decorate your design. 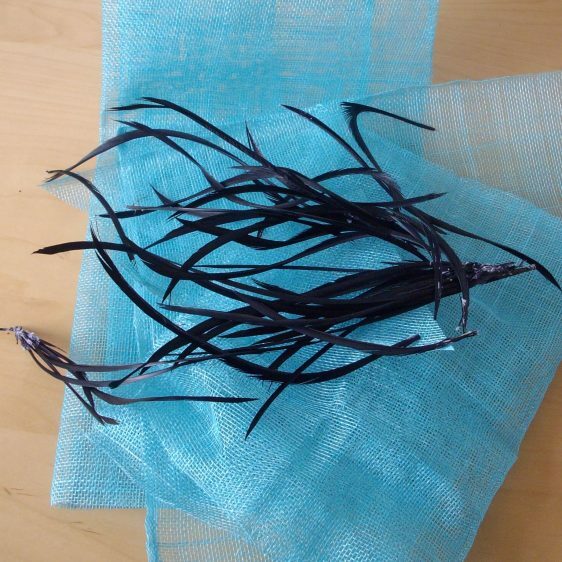 This does involve some hand sewing, but this method is very forgiving when it comes to neat stitching! 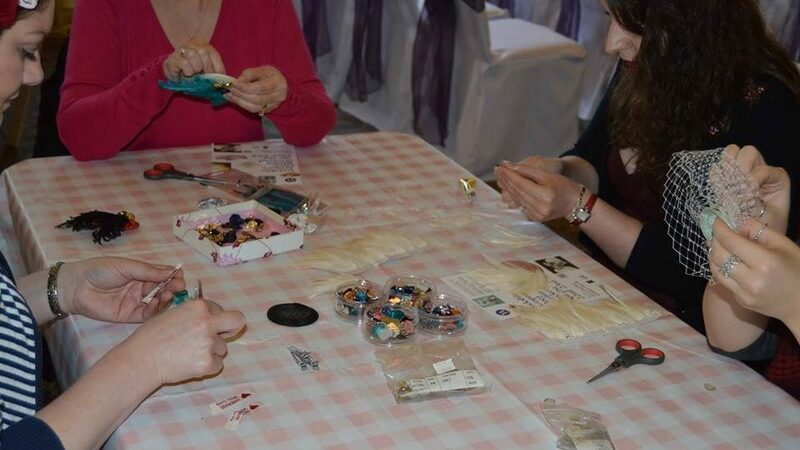 This workshop is the best suited to those who wish to book for large groups. It is also the shortest of the workshops, approximately 1hr 15 long. 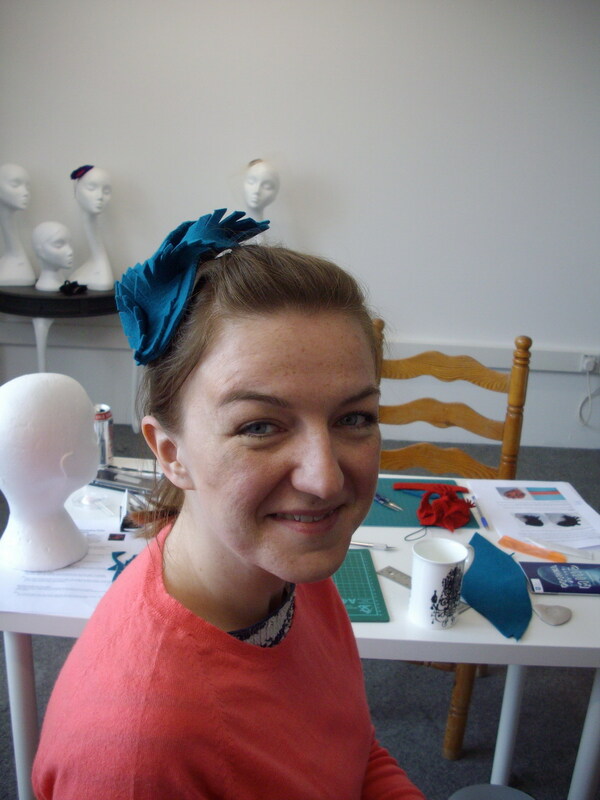 This workshop is also perfect if you are not confident with sewing as none is required! 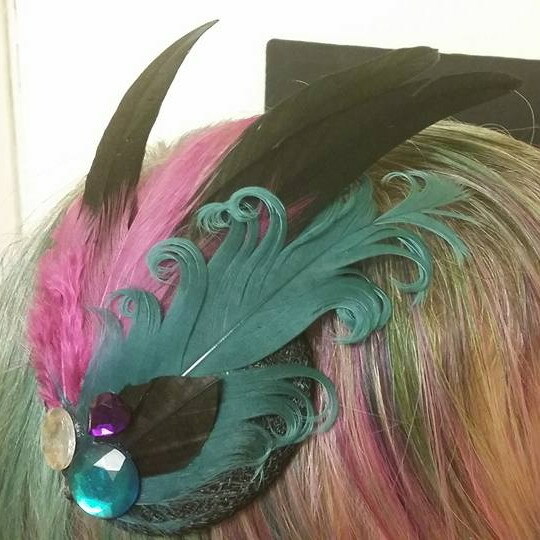 Using only scissors and glue, you will learn a range of feather manipulation techniques to create your own unique clip-based fascinator. 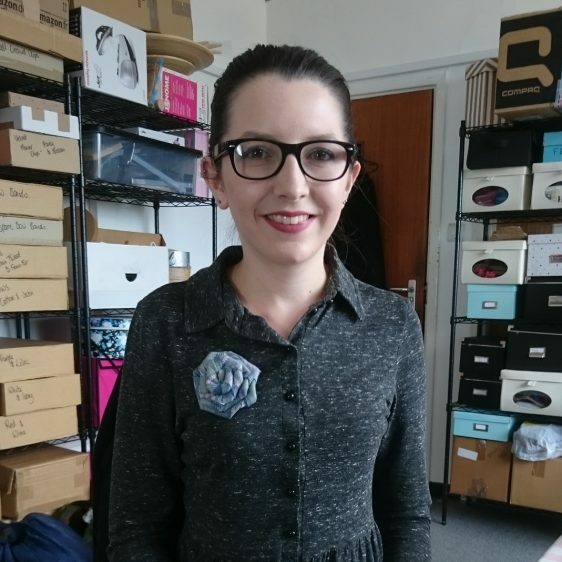 You will be amazed at what you can achieve with just a pair of scissors!